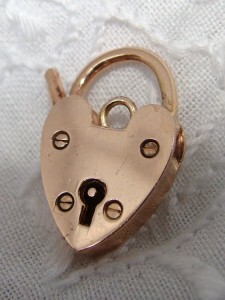 A Quality Vintage "Antique Victorian style" Rose Gold Padlock for a bracelet or to be used as a charm or pendant. Near MINT condition! The only evidence of use is a little light scratching to the back - it is clear it has been used very little.